CyrusOne, a US-based REIT (real estate investment trust), is continuing its European expansion campaign, with plans for two new hyperscale data centers in the Netherlands, joining previous announcements of planned facilities in the UK and Germany. 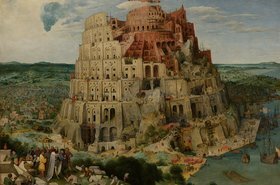 In the Netherlands, CyrusOne plans to build two new data centers on the Agriport A7, where Microsoft is also planning a $2 billion facility. Meanwhile a London III facility is due to be complete by the end of 2019, and a new Frankfurt III site will be built by early 2020. These are on top of the four Zenium data centers CyrusOne bought in 2017, an acquisition which completed in August 2018. 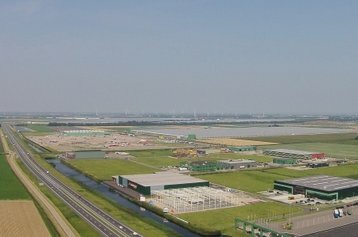 Agriport A7 is a large business park in Middenmeer, 40 kilometres north of central Amsterdam, previously best known for agriculture, conducted in giant greenhouses. In total it has room for 100 hectares (1 million sq m) of data center development and 850 hectares of greenhouses. CyrusOne CEO Gary Wojtaszek describes the goal as "the largest master planned data center campus in Europe," serving hyperscale customers. Wojtaszek said the deal "allows CyrusOne to aggressively pursue build-to-suit development projects on ready-to-develop property without deploying significant capital in advance of winning these deals." The company has the option to buy up to a third of Agriport A7's data center allocation - 33 hectares (330,000 square meters) - in parcels, as those hyperscale customers arrive. This could add up to as much as 270MW of data center capacity, but the Agriport site has ple nty of power for the greenhouses and can deliver up to 600MW, mostly from green sources. It also has access to dark fiber, with a low latency link to AMS-CIX, the network hub in Amsterdam. CyrusOne has 50MW of data center inventory in Europe, and plans to provide nearly 250MW of capacity by the end of 2019. Earlier in October, CyrusOne announced new data centers in the UK and Germany. The 9MW London III facility on the Slough Trading Estate will have around 39,500 square feet (3,700 sq m) of data center space and should be finished by the end of the fourth quarter of 2019. Frankfurt III is due in early 2020, will include two connected four-story data centers with a total of 124,000 sq ft (11,000 sq m) of space, and a critical IT load capacity of 22MW, with multiple fiber providers providing carrier neutral connectivity. Each data hall can be customized for the demands of wholesale clients, and will include the adiabatic cooling technology for a low power usage effectiveness (PUE). 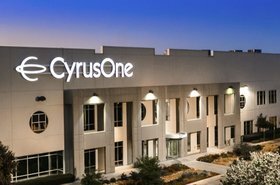 CyrusOne has more than 45 data centers across North America, Europe, South America and Asia.